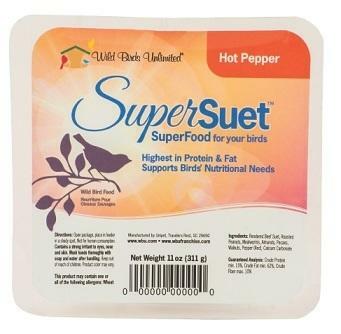 We now have a variety of Hot Pepper bird foods! 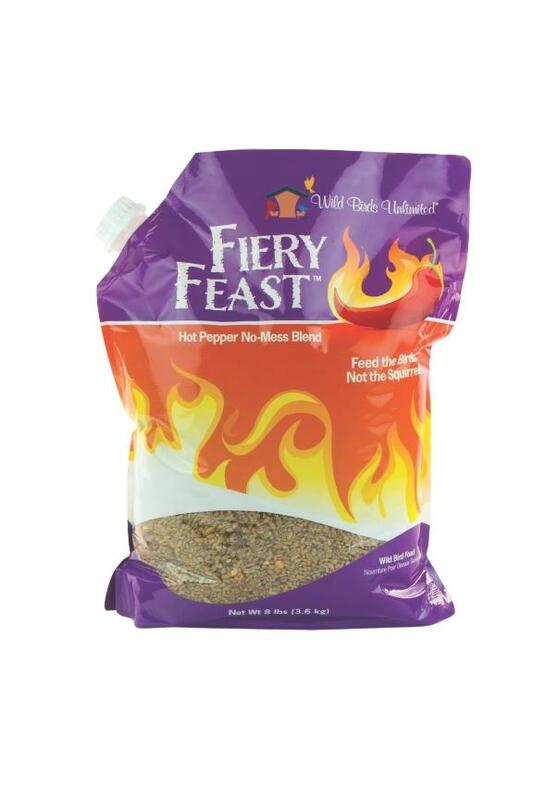 Choose from our Fiery Feast™ Blend, Hot Pepper SuperSuet™ Cylinders, Hot Pepper SuperSuet™ Cakes, and Hot Pepper Bark Butter Bits™! All chosen to keep pesky squirrels from wanting to gobble up your bird food! Birds love them, squirrels not so much!! !